Tania is an associate in the firm focusing on employment-based, family-based, and investor-based petitions, as well as naturalization applications. She has extensive experience with the following types of applications and petitions: B (including Domestic Worker B applications), E-2, F, J, H, L-1A, L-1B, O, NIW, EB-1, EB-2, EB-5, I-130/I-485, I-751, and naturalization (including naturalization under INA § 319(b)). She has also dealt with Embassies and Consulates from all over the world as part of her work in consular visa processing. Tania is proud of her work assisting numerous executives, managers, engineers, geologists and technicians obtain L visas to come work in the US where they are making significant contributions to the US oil and gas industry; she helped many of them become Legal Permanent Residents of the US through EB-1 Multinational Manager or Executive petitions. In addition, many of Tania’s clients are foreign companies in the process of establishing a first presence in the US. Tania has successfully helped many such companies obtain a first L visa (L “New Office”) for a manager to come open the US office and then petition for additional foreign employees to come work in the US once the new office is up-and-running. She has also helped countless individuals set up their own business in the US and obtain a non-immigrant E-2 Treaty Investor visa allowing them to work and live in America while managing and developing their enterprise. Tania is also proud of her success in the naturalization area where she has assisted many clients with complicated and problematic backgrounds successfully become citizens of the United States. After graduating from Rice University with a BA in Political Science and Mathematical Economic Analysis, Tania went to France to attend the Ecole Superieure de Commerce de Paris (one of the French “Grandes Ecoles”) and to study French, European and International law at the Sorbonne. She then became licensed with the City of Paris Bar Association and she practiced corporate law with the Paris office of a large New York-based law firm for three years. She later returned to the US to obtain an American JD. 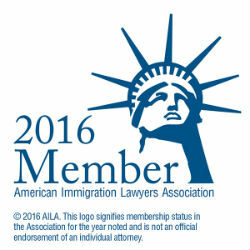 Tania has been practicing immigration law since 2008. 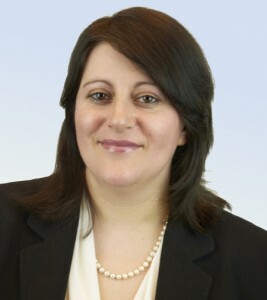 She particularly enjoys the constant client contact that the practice of immigration law affords and she likes the opportunity of working with clients from all corners of the world on a daily basis. In her free time, Tania enjoys spending time with her husband and their two children.